Who put up with all the crowds and the trash. Who donated lots of printing materials. Need a reliable printer with great customer service? Contact Mike Crowley (mj@universalprintworks.com). I absolutely love Halloween. I think this is because my mom would never let me trick-or-treat when I was young, so now I am making up for lost time. The Gershon Dungeon (the name of the street I live on in Tustin CA) started off very small with basically just myself (Mike) and my best friend (Skip) building a couple of props in my garage to get back at some of the dirt-bag neighborhood kids. Our first big prop was called the crush box. This room was 4'x4'x8' and would trap the victims inside. Then, magically the front wall would start to move and would "crush" the victims into a room the about 1'x4'x8'. As you could imagine, this was a big hit for the kids and every year we found ourselves trying to out "prop" the previous year. Since 1993 it has grown from a weekend project with two monsters to a three month way of life with over twenty-five monsters to operate many different props. The first year we had maybe 30 people go into the "Haunted Garage". 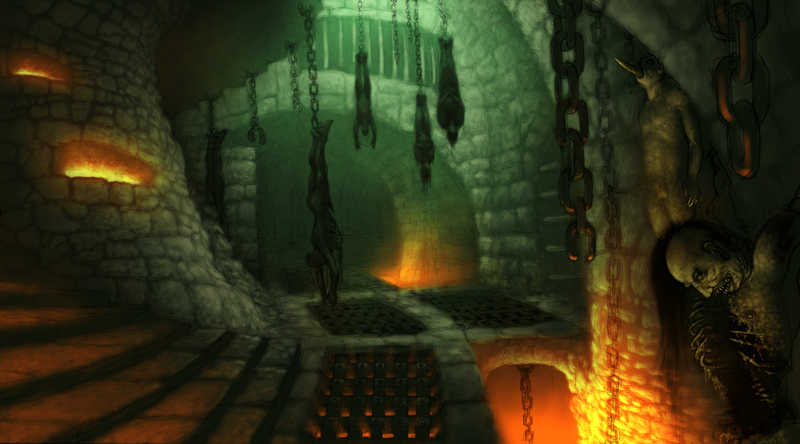 Now, the Gershon Dungeon averages 700 people over the (2) nights. I don't know how many people saw the line and said "Forget This! I'm not waiting an hour."